TRIANGLE GATHERINGS BLOCKS HAVE BEEN REMOVED…BOOK COMING SOON! How are you all doing??? 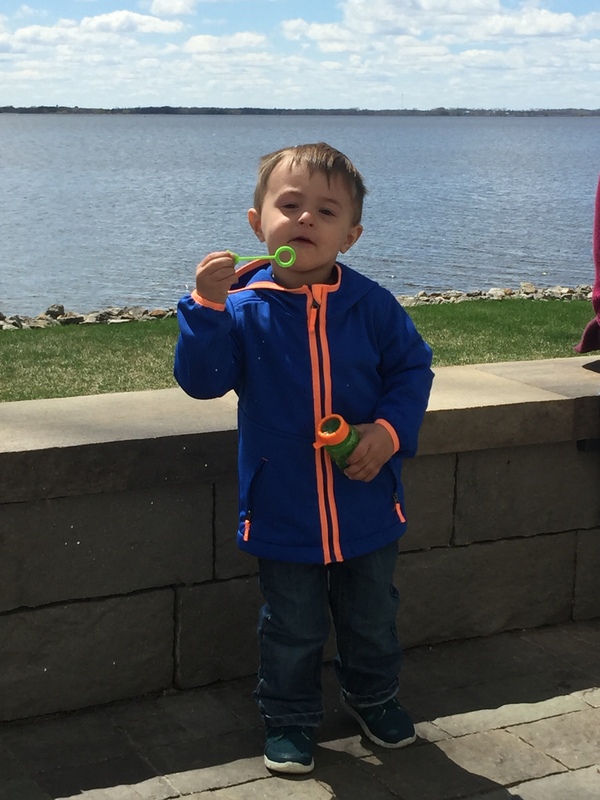 I’m hanging out with “little man” today…wonder what we will get into today…just before nap time we were blowing bubbles and shooting them with the squirt gun!!! Look close you can see the bubbles!!! Here’s a block for the weekend!!! Thank you! Have fun with your little man…..he is so cute!! I think my blocks jump from 29 to 31…guess I’d better search for #30. Always fun to see “little man”. How much fun blowing bubbles with “little man”. My now 15 year old grandson LOVED doing this. I kept a big jug handy for his visits. Lisa, please forgive my ignorance. I just started following your emails recently—–I think it was about Triangle Gatherings block 20 or so. You have been generous to share the blocks but not sure of the measurements you use or recommend. I think I’ve made a quilt out of most of your lines since I started quilting in 2013 so not sure why I didn’t start following you till later. Your triangle papers are WONDERFUL! Let me know if you have a moment, if the Triangle Gatherings is a paid subscription as I would like to start and work my way backwards until I’m caught up. Thanks for your help and keep up the fabulous work! Little man is grow up so fast. Love the next block too. What a cutie he is. Thank you, Lisa, for another great block. And thanks, too, for sharing your wonderful trip to Milwaukee. What a great adventure you had, and so fun to learn about good things to see there. Lisa, I haven’t received block #30. I have 28, 29 & 31 but no 30. How can I get that ?? Such a sweet picture of your “little man”!! Thank you so much for sharing your patterns with us! I love them!!! Wow, your little man is getting so big! My little man is only 7 months old, red hair and dimples!! I can’t wait till he is walking and talking. Great block, thanks Lisa.